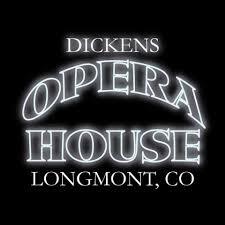 January 2019, PRISM Colorado members took to the stage of the Dickens Opera House. Built in 1881, the Opera house has many stories of laughter, stage fright and death embedded within its walls. During our investigation, members experienced overwhelming senses of being watched, sounds of voices around us and random instances of equipment failure. During our 6 hour investigation we captured 41 EVPs from various locations in the opera house. We noted the same tone of a whistle captured through out the building via recorder but not audible during our investigation. Below are our favorite and best quality Dickens EVPs from our audio devices. Headphones are recommended. The Dickens Opera house is open to the public for private investigations. Book your fun filled night by emailing the Dicken's Team here.